Tubbercurry boasts two of the most popular and successful festivals in the West of Ireland; the Summer School of Irish traditional music and a major theatrical festival held every year. These events attract large numbers of performing artists and cultural tourists from all over the world. 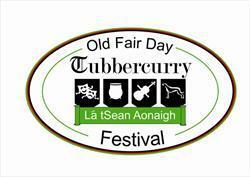 There is also an annual Fair Day held in Tubbercurry every August. There is usually a high attendance for this with many people coming from abroad. During this day, a stall can be hired out on the main square, where people sell goods. The square is closed to traffic along with the town's main street. Despite its small size Tubbercurry, is renowned in the West of Ireland for night time entertainment. Several bars and restaurants, as well as traditional Irish pubs, form the main attraction for people who travel from all over the Connacht region. Tubbercurry is centrally located on the N17-Sligo/Galway Road. It is 20 Miles from Sligo Town, 23 Miles from Castlebar (the County Town of Mayo) and 20 Miles from Boyle, County Roscommon. Tubbercurry as a settlement place is on the map for over 600 years. The earliest mention of Tubbercurry in the history annuals is 1397 when a battle took place there between two O’Connor families, the O’Connor Don from Roscommon and the O’Connors from Sligo town. Tubbercurry celebrated its 600th birthday throughout the year of 1997 and this culminated with a visit to town by then President of Ireland Mrs Mary Robinson. Mrs Robinson came to visit the Old Fair Day Festival in August 1997 and planted a tree in Wolf Tone Square to mark the occasion. Over the last 600 years there has been a number of milestones in the history of Tubbercurry and events in the town reflected by and large events on a national scale. The Famine Years of 1845 – 1847 were severe in South Sligo like other parts of the country and but for the help of a local merchant family, the Mullarkeys of Teeling St., things could have been a lot worse. In the early 1840’s the Mullarkey family owned a racehorse, ‘Pride of Ballyara’ and in their own words he won a large fortune for them racing in England over a number of years. They owned the land in Ballyara where St. Attractas Community School now stands. ne'er meet his like again. This headstone is still to be seen today in the old Ballyara graveyard and is well worth a visit. (entrance opposite St. Attractas Community School). After the Famine Years, political and agrarian reform followed the national trend. Charles Stewart Parnell spoke at a political rally in the 1880’s in Tubbercurry. Banada Convent was opened and developed at Banada from the 1860’s and the Marist Convent in Tubbercurry was established after the Marist Sisters came to town in 1904. The war of Independence and the Civil War was a turbulent time in Tubbercurry and the Black & Tans burned a large part of town in October 1st 1920 as a reprisal for the killing of an R.I.C. officer by the I.R.A. at Chaffpool. 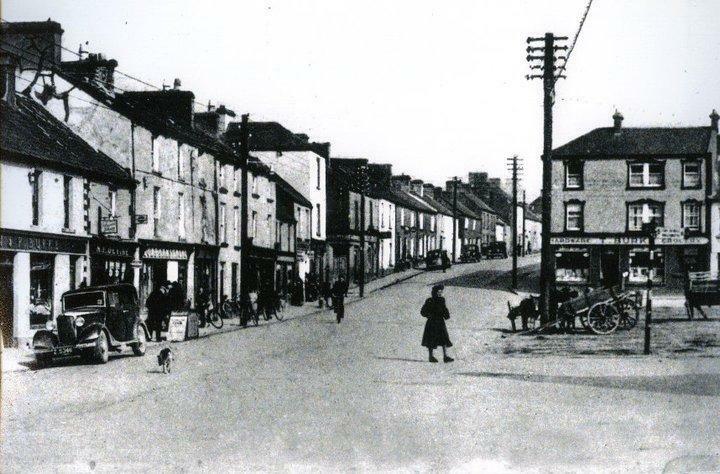 Throughout the early decades of the 20th century as Ireland found the going tough as an independent country, Tubbercurry developed slowly but surely. Agriculture was the main industry of the region and most activities were based around farming. The creameries of Rathscanlon and Achonry developed their butter making procedures and those that could not find work locally had to emigrate. This was the case all too often during those decades. In 1955 Basta Industries was established by the Gallagher Brothers of Cashel and this breathed a whole breath of fresh air into employment opportunities locally. James, Matt and Bert Gallagher were the main drivers of this industrial revolution in Tubbercurry. They also had building interests in England as rebuilding works had commenced after World War II. Tool & Gauge was a sister company of Basta and both of these factories employed up to 400 people from the 1950’s to the 1980’s, people who otherwise would have had to emigrate. Since the 1980’s as a result of restructuring, employment has dropped but still over 200 top quality jobs are provided by both Basta & Tool & Gauge. Free education was introduced in the 1960’s and this was a huge help for young people who wanted to get 2nd level and 3rd level education. As the decades rolled towards the 21st century South Sligo now has a highly skilled and highly educated population. 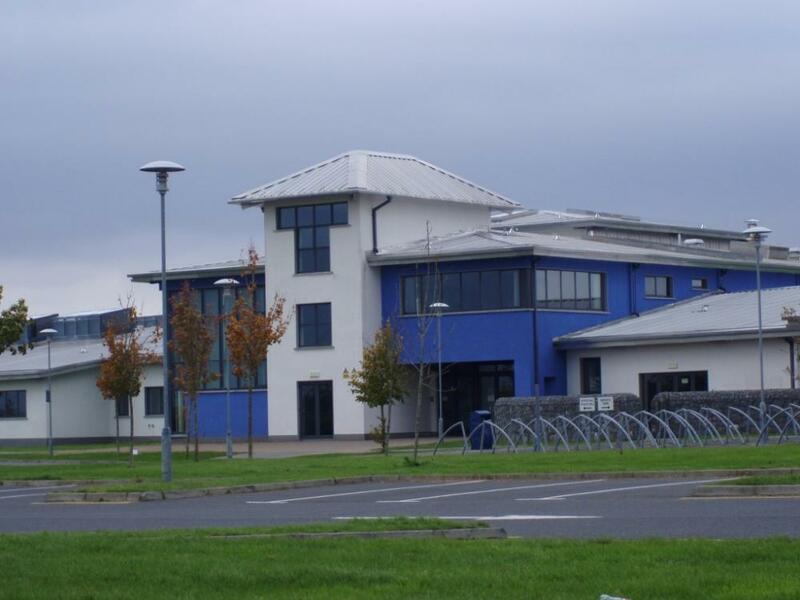 St. Attractas Community School opened in 2002 as a result of the amalgamation of Banada & Marist Convent Schools and is one of the finest second level schools in Ireland and possibly even in Europe. Today, in the 21st Century Tubbercurry looks back with pride at its achievements over the years. The local Chamber of Commerce & Community Association continue to develop contacts around the world to attract people and business to our community. Housing developments on an unprecedented scale in Tubbercurry has seen the population of the immediate town grow from 1000 people to closer to 2000 over the last few years.